In conjunction with this year's MTV Video Music Awards, MTV presents a special VMA concert in support of LIFEbeat, an organization that raises awareness and provides support to the HIV/AIDS community through music. Performing at this very special event that will be held at the House of Blues in Hollywood are Ke$ha and B.o.B. ArjanWrites.com is a proud supporter of LIFEbeat and is giving away a pair of tickets to the event. 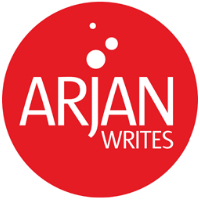 To have a chance to win, follow me on Twitter and simply tweet "Hey @arjanwrites! I would like to win two tickets to @lifebeatdotorg's VMAs event and party down with Ke$ha and B.o.B." Contest closes on Friday at midnight EDT. Winners will be notified via Direct Message on Twitter to pick up tickets at the venue at the day of the show. You need to live in the Los Angeles area (or willing to travel there at your own expense). Be quick! Cool show. And don't forget to wrap it up, boys and girls! Chart-topping happy man B.o.B. (aka Bobby Ray Simmons) is truly in a league of his own. It is easy to label him as just another hip hop artist, but his music and performance go way beyond one, single genre. Simmons' music is a pop-savvy brew of pop, soul, rock and hip hop that doesn't fit one particular mold. His debut LP is not called "The Adventures of Bobby Ray" for nothing. Like a happy-go-lucky comic book character he rocks and rolls easily from one genre to the next - performing with guitar, diving into the crowd, singing from the mic stand, crooning on the piano and fiercely spitting rhymes to a chanting crowd. Very entertaining and a lot of fun to watch. The "hyper-creative savant" performed a special gig in his hometown of Atlanta on Saturday night that was sponsored by MySpace Music, Microsoft Windows and HP computers that introduced its brand-new line of Beats by Dr Dre enabled laptops. B.o.B. took on all of his hits and his future ones, including "Nothin' On You," the fantastic and meaningful "Kids" (with Janelle Monae) and his global smash "Airplanes" that sent the crowd into overdrive. Prior to the show, I received an extensive demonstration of HP's new top-of-the-line Envy laptops that feature sophisticated sound technology courtesy of Beats by Dr Dre. Frankly, I was a bit skeptical at first, thinking this Beats thing was just a marketing ploy and a fancy logo slapped on to some laptops to sell a few more of them. But I was impressed by this product. The sound on the HP Envy laptops is truly outstanding. Audio quality is often not a high priority for laptop makers, but the built-in Beats technology (a hardware extension to the soundcard with pre-set audio profiles) on the HP laptops make a world of difference.